This article is part of a four-article series on why diversity efforts are failing in the workplace and concerns putting the business before employee trust and commitment. Imagine that you have participated in the visioning meetings forecasted for the next five years and your organization is now the latest of many companies that initiated a diversity and inclusion change initiative. You may have taken steps such as appointing a protected class chief diversity officer and created posters of a multi-cultural group (which may or may not be associated with the organization). Also, you carefully crafted a diversity article, a change agenda message, and a series of statements that share how diversity and inclusion bring out the best ideas in individual employees and groups. So the change message starts going out to everyone, the town hall meeting with employees is held, top lieutenants in the organization have developed a communication strategy, and a task force is formed that consists of senior managers and high-potential employees. Everyone is excited to share how diversity will serve as a key driver and enabler of competitive advantage. Also, there is a dizzying array of charts, posters, and dinner meetings, coupled with the dogged determination of executives and managers. You and your organization are on your way. Planning takes a few months followed by execution. A year or two later, you assess the measures you took to determine how well your diversity efforts worked. But the result was that your organization fell short of any intended benefits your diversity and initiative effort were positioned to bring. Just what went wrong? There was a lot of work put into the diversity management system, the change agenda and the measurement of success. 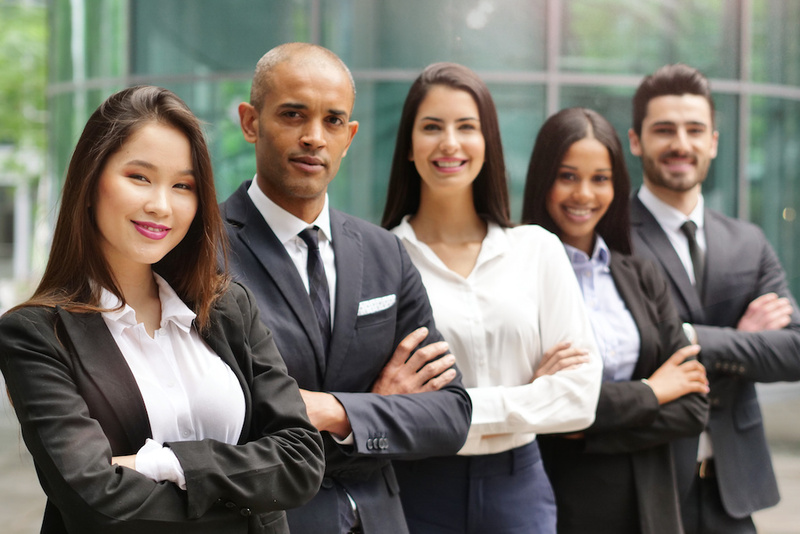 Your diversity management system has built in everything but a human connection to your employees. You have put key terms such as “diversity policy” and “employment diversity” into operation, made your business literature user-friendly, and gone through the effort of showing the difference between compliance and diversity. Your organization has painstakingly captured the case for diversity. In other words, you have done everything except show why diversity should matter to your employees. The discussion on inequities, stereotypes, understanding, and getting the best from employees sounds great within insulated boardrooms and off-site retreats, but this talk rarely resonates with employees who try hard to think through important questions. These questions might be, “What am I doing wrong and why is all the attention on minority groups? Do we now manage by exceptions?” Though you may not want to admit it, you have fostered an “us” against “them” attitude, which has exasperated employees and eroded trust. There are only a few employees “on board.” They buy into the notion that marginalized, protected class groups may suffer from unequal treatment and wholeheartedly believe that “we are all in this together.” You may think that you got them, but that is until those employees find out that diversity, inclusion, equity and fairness is based upon the lens of the employer versus the employee. In fact, the trust divide is widened when employee conversations, perspectives and options centered on diversity are shunned. Your rhetoric of diversity is deemed insincere, as employees grapple with understanding why their voices are shunned. As much as you may want to think that the business case alone creates the necessary level of urgency and commitment, it doesn’t. More important, meaningful, and sustainable than the business case is the trust, understanding, and commitment of employees, which serves as the foundation of impacting the organization’s culture. Employees have to understand that the ideas of justice, fairness, and equity are centered on something much larger and much more important than a mere set of charts with red and green arrows. In building the trust and commitment of employees, there must be a deep understanding of the importance of each employee’s voice and a serious consideration of what diversity and inclusion means to employees. The business case is the ends, not the means. There must be a sincere effort to create an environment in which managers and employees embrace how equity matters from a moral, humanistic perspective. Without this consideration, your work will result in another doomed effort that failed to connect with employees on any significant level. Two years later, your organization’s diversity change effort has created mistrust, doubt, fear and resentment. You and your organization then join the pile of employers that got everything right on paper, yet had nothing of value occur in execution. The answer to proper management of diversity efforts starts with placing more weight on the voice and perspective from employees that go deeper than the business case. Conversations and efforts must lead to an understanding of the disparities (perceived or real) between workplace racial groups. Those discussions must include the freedom of majority groups to share and question the perspectives and experiences of minority employees. Minority groups should have a sincere, honest voice and also make a meaningful contribution that goes beyond the aesthetics of posters, policies, and other surface-level artifacts that change little in the area of attitudes and communication. Conversations must look at the effect and impact of processes and outcomes. Employees are more open to creating true diversity more than you may think. But the start of this conversation with employees and diversity efforts should not be based upon a cost-benefit analysis of how diversity benefits the organization. Instead, achieving diversity should be based upon addressing how a business, open to diversity and inclusion, can build trust and commitment in its workforce and culture. There should be a moral and humanistic connection that connects people on both an individual and group level. Until you create an internal culture of trust and commitment that truly understands the value of diversity and inclusion from a moral, individual, and group perspective, your business case is all for nothing. That is your problem, not your employees’ problem.